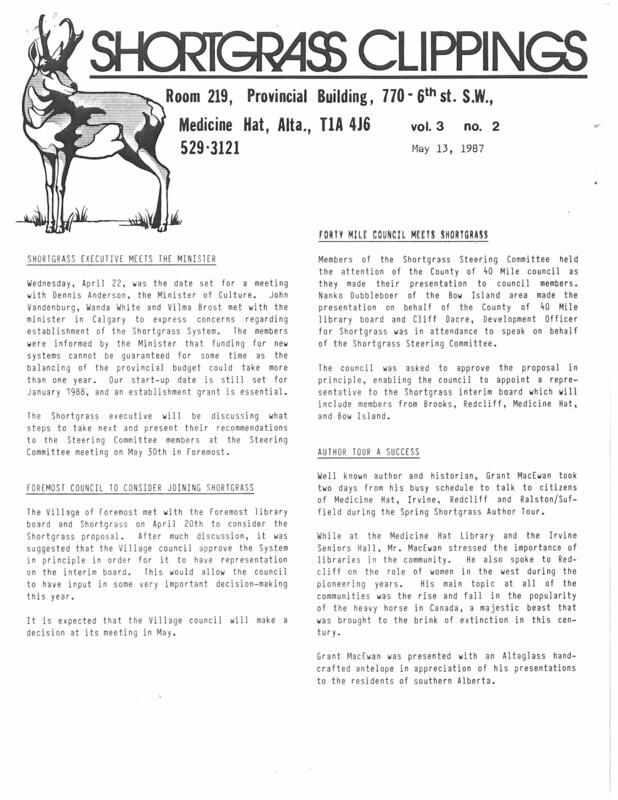 Discussion of a library system in Southeast Alberta began in 1977. A meeting of library staff and trustees from the Southeast area was held at the Jasper Conference in 1981. As a result, an organizational meeting was held on June 13, 1981 in Redcliff. The group applied for assistance from the Alberta Library Trustees Association (A.L.T.A.) and obtained $5,000.00 seed money.